We are kicking off 2018 with a wonderful announcement! 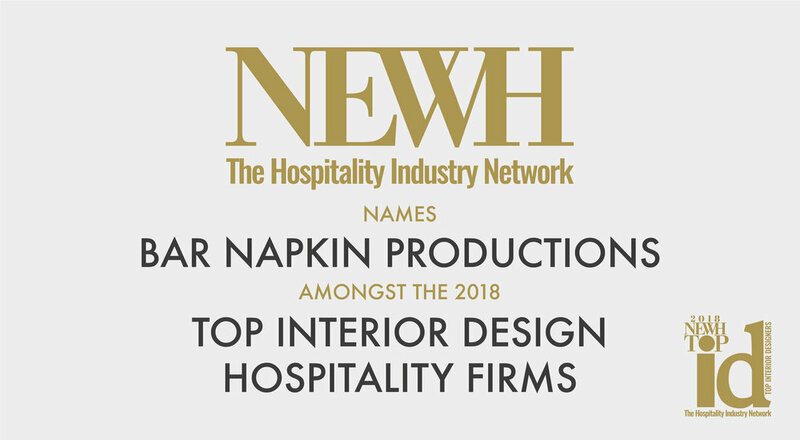 Bar Napkin Productions is grateful to share that we've been recognized as a NEWH Top ID firm for 2018. This honor was determined by our work in the hospitality industry along with the support we provided to the NEWH Arizona Chapter. We are excited to share this acknowledgement with the other hospitality design firms across the country.